DEPARTMENT of Social Development minister Nelson McCausland is tomorrow (Wednesday) expected to announce the effective breaking-up of the Northern Ireland Housing Executive (NIHE) with it being stripped of its landlord status for 90,000 households. 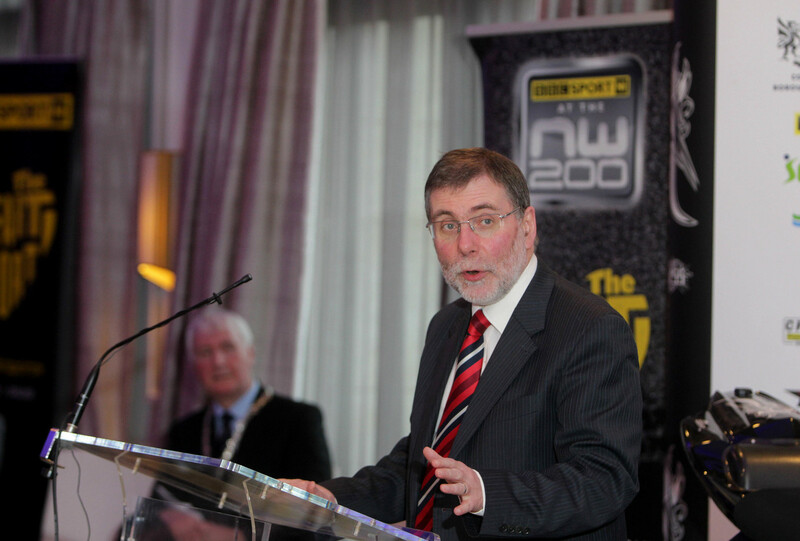 Read Nelson McCausland’s statement on the future of social housing here. In a move tied in with UK-wide welfare reform, Mr McCausland is expected to make a statement in Stormont confirming a dramatic restructuring of the Housing Executive, bringing to an end its status as Northern Ireland’s overarching public housing authority, a position it has held since it was established in 1971. Throughout the Troubles NIHE provided social housing across Northern Ireland – at its peak 200,000 households – and today’s announcement is certain to spark debate on how the independence of the new regime will be safeguarded to ensure homes are allocated according to social need. 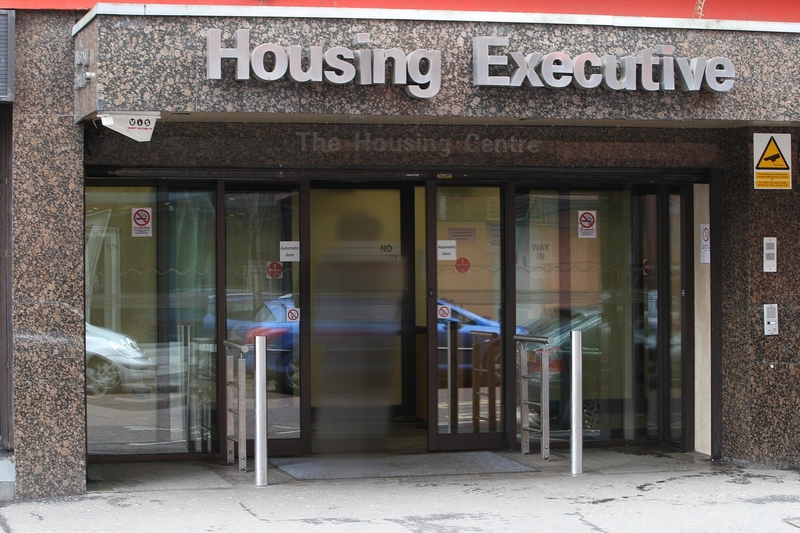 The landlord role currently filled by the Executive is likely to be tendered out to housing associations – probably five – seeing the overwhelming majority of Northern Ireland’s public housing stock moved out of state ownership. Tomorrow’s development follows a stand-off in recent years between NIHE and the DUP minister Mr McCausland which has erupted into public rows on more than one occasion. In 2011 the DUP was accused of trying to exert undue influence on senior Housing Executive officials in a bid to force the Executive to overturn its decision to cancel maintenance contracts with east Belfast firm Red Sky. Read the DUP’s role in Red Sky here. 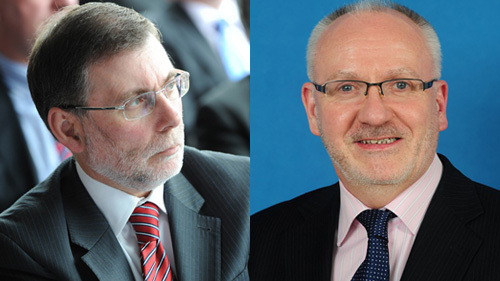 Then NIHE chairman Brian Rowntree refused to overturn the decision and threatened to take Mr McCausland to court. While Mr McCausland eventually backed down over the Red Sky affair, relations with senior Housing Executive officials remained strained. In July 2012 the DUP minister publicly accused NIHE of having “failed” its tenants. It was later disclosed that Mr Rowntree had resigned citing “personal stress” and a “challenging relationship” with DSD. The Northern Ireland Housing Executive currently employs 2,800 people. The welfare reform changes will mean that NIHE will lose responsibility for managing housing benefit payments, potentially putting the jobs of 400 staff at risk. But Mr McCausland’s announcement tomorrow morning is expected to also state that NIHE will be stripped of the body’s primary function: landlord for some 90,000 properties throughout Northern Ireland. The Detail understands that the most likely result of that move will be for the property to be transferred over to at least five ‘super’ housing associations. It remains unclear what responsibility the Housing Executive will be left with after the announcement, with even control of private sector grants understood to be under review. However it is thought it will still exist with limited powers, which may include homelessness and supporting people, including members of the Travelling community. The outcome for undeveloped land currently owned by NIHE is also unknown. The Detail understands that DSD will have overall control of policy issues relating to social housing. Previous discussions on reform suggest that local councils could also get a role in housing for the first time in 42 years. Consultations on the subject have suggested giving them powers to regulate Houses of Multiple Occupation (HMOs), housing unfitness and local energy conservation. Oversight of the new arrangements will be a major discussion point. The June 2011 review on the future of housing in Northern Ireland, carried out by consultants PWC, recommended the establishment of a new strategic housing authority to act as a ‘not-for-profit’ landlord against existing NIHE stock under a lease model. It recommended that regulation of social housing should be carried out by a new authority and strategy delivered by a Strategic Housing Authority (SHA). However it remains unclear whether any new regulatory body would be independent or instead be placed under the direct control of DSD. Other crucial questions remain unanswered. Throughout the Troubles NIHE was regarded as having allocated housing on the basis of need. But if, as is expected, the Housing Executive is effectively stripped of its existing powers, who will decide how social housing is allocated in divided communities across Northern Ireland and where new housing developments should be built? In July 2011 the Stormont Executive committed itself to transferring 2,000 homes from the Housing Executive to housing associations over the next number of years. DSD said the decision was justified as the Housing Executive homes required major renovation but there was not public funding to carry out the work. Under those proposals tenants would be asked to vote if they wished to have their homes transferred over to housing associations. It is unclear whether this morning’s announcement will give tenants any chance to decide if they wish to become tenants of non- publicly owned housing associations. “The Housing Executive has played a valuable role over the last 40 years in greatly improving housing conditions across Northern Ireland and providing a range of quality services to its tenants and others. “The time, though, is right to look at how it is structured and funded to take account of the challenges of public finances, the need to ensure tenants can continue to have access to good quality homes and to take account of the new political and civic structures that have developed. THE ‘SUPER’ ASSOCIATIONS: HOW WILL THEY WORK? It was previously proposed the ‘super’ housing associations would each be based in the five key geographical areas across Northern Ireland with the highest density of social housing. At present NIHE is solely funded by central government and, unlike housing associations, is not allowed to raise money from the private sector. A similar move to split social housing away from central government has previously been made in other parts of the UK. Northern Ireland has around 30 housing associations at present, but only around 8 or 9 of them have more than 1,000 properties. Housing campaigners fear the small associations will be dwarfed if five ‘super housing’ associations are created. The proposed changes have been opposed by trade unions and are understood to have angered staff.